Hayden Samples, the reader at the Arizona House of Representatives, stands out from the sea of dull black, gray and brown outfits with his three-piece suits, colorful bolo ties and boots one might mistake for a snake. Ducey penned his approval to 27 new laws on Monday, the last of what the legislature approved in its 122-day session. But he found six unacceptable, bringing his veto record this session to 11. Currently many Arizona residents with medical coverage are hit with unexpected bills following discharge from a hospital, despite their best efforts to select a hospital and doctor in their health plan’s network prior to scheduling a hospital admission. Of the more than 1,000 bills, resolutions and memorials that have been introduced in the Arizona Legislature thus far in 2017, the majority are already being declared “dead." Lawmakers this year filed 1,247 bills covering topics as diverse as campaign finance reform to protections for wild horses. 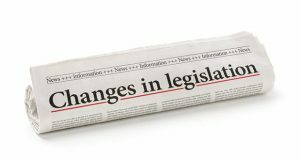 At least a handful of the 1,361 bills introduced in Arizona this year match bills introduced in other state legislatures, according to an AZCIR analysis comparing Arizona legislation to more than 500,000 bills, proposed in other states over the past eight years. Lawmakers introduced 1,361 bills, memorials and resolutions in the 2016 legislative session, but in the end, most of those measures were left on the cutting room floor.